Dubai : The Porsche 918 Spyder is on the road: Dr. Ing. h.c. F. Porsche AG,Stuttgart, has taken the driving trials of the super sports car of the future a step further with completion of the initial prototypes. 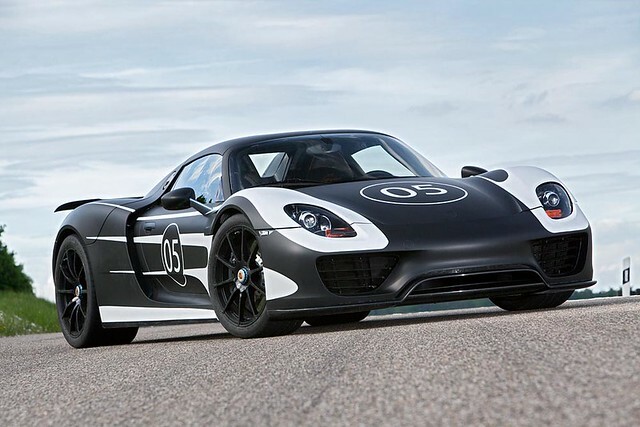 The 918 Spyder will go into production at the end of September 2013 as planned, with the first customers receiving their vehicles before the end of 2013 is out. The prototypes, their camouflage harking back to historical Porsche 917 racing cars, signal the final touches to the 918 Spyder. The focus is on the interplay between the highly sophisticated individual drive components. The combination of combustion engine and two independent electric motors – one on the front axle and one in the drive line, acting on the rear wheels – poses completely new demands on the development of the operating strategies. “They are therefore a critical component in this vehicle into which we have put all of our expertise and capacity for innovation,” said Wolfgang Hatz. These operating strategies and the development of the software to go with them are one of Porsche’s core competences. Both of them have a major influence on the extreme driving fun to be had with the 918 Spyder and they make possible a unique combination of minimal fuel consumption and maximum performance. The initial results of the driving trials are in line with the high expectations placed on the 918 Spyder.